One example that I've heard - from Ripple and from third parties - is the example of a cargo container. Prior to the creation and standardization of the cargo container and cargo ship, global commerce over the ocean was a collection of small vessels and ports with sprawling dock areas for offloading cargo from ships. 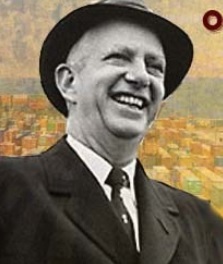 The lack of standardization of cargo resulted in high costs of transport; the business had to pay for the on-loading and off-loading of freight, and for the transportation itself. All activities included high labor costs. "Looking at 22 industrialised countries, it finds that containerisation is associated with a 320% increase in bilateral trade over the first five years and 790% over 20 years. A bilateral free-trade agreement, by contrast, boosts trade by 45% over 20 years, and membership of GATT raises it by 285%. In other words, containers have boosted globalisation more than all trade agreements in the past 50 years put together. Not bad for a simple box." This example has to do with containers, but it can be applied to precisely what Ripple is trying to accomplish as well; Ripple, with ILP, has developed the international standardization that was lacking for international payment communication. In addition, XRP has the necessary liquidity to replace business' Nostro account holdings in other countries by using XRP. Is it any wonder that analysts look to the shipping container for guidance on what to expect? History is being made by the crypto markets as time rolls forward, and the world is grappling with the challenging questions that are paired with new technology. One main topic that tends to affect all of crypto, although not equally depending on the use case in question, is regulation. "The move by the RBI has put the burgeoning crypto currency sector in jeopardy and may affect the basic rights of such entities to carry on any trade. The circular appears to be arbitrary and unconstitutional since it does not give strong facts as to why RBI is against the business of cryptocurrencies." I paused after reading the last sentence in the complaint: "...it does not give strong facts as to why RBI is against the business..."
It's statements like these where we should probably look a bit deeper to determine what the real motivation was behind the Reserve Bank of India's prohibition. I think it comes down to monetary policy, and I think India is just the first of many countries that will attempt to protect their own sovereign right to issue currency; their ability to print money has historically been a centerpiece of economic policy. In the West, cryptocurrency may not spell much of a threat for the time being, especially if you look at where the volume numbers are coming from, even in 2018, when we should see a much greater volume diversity. In fact, most of the volume is still originating from South Korea, which means the entire crypto market is still very new and has not yet benefitted from global levels of adoption. But the worlds' countries, while at the present time are vying for the affections of blockchain technology companies, might at some point change that approach and opt to protect their national currency. This court case in India is just one of many that we can expect to see in the next few years as citizens start to exercise their right to purchase whatever currency they wish - a digital asset or traditional fiat. Something tells me that the world's citizens are going to start to select crypto - and XRP - more and more in the next six months. This is one of those news items that you should file under "no impact in the next few months, but...."
"Certainly Nasdaq would consider becoming a crypto exchange over time... "
"...I believe that digital currencies will continue to persist it's just a matter of how long it will take for that space to mature. Once you look at it and say, 'do we want to provide a regulated market for this?' Certainly Nasdaq would consider it." The first quarter of 2018 was one for the history books - a book that most of us believe should be closed and placed back on the shelf. The first quarter contained what are probably the all-time-highs for all of the coins listed in Coinmarketcap's comprehensive listing. The end of the first week in January 2018 was a preview of where the crypto market was heading, but unfortunately the preview was premature, as the market then retraced significantly downwards in one of the largest corrections we've seen thus far. How Much Money Did Ripple Make Via XRP Sales? This is the main topic that most XRP fans are waiting for when it comes to the XRP markets report. Luckily, we've been tracking this for all of the quarters where Ripple has released an XRP Markets Report - basically it corresponds to Miguel Vias's arrival at Ripple. Ripple is very transparent about its XRP holdings, as well as its sales. The percentage of retail sales is nearly identical to what it was in Q4 2017, and yet the dollar amount is more than double. This is reflective of the increased XRP price and volume combined. The same percentage of a higher number, is by definition a higher number, so all total, Ripple is publicly disclosing the fact that they made $167 million. 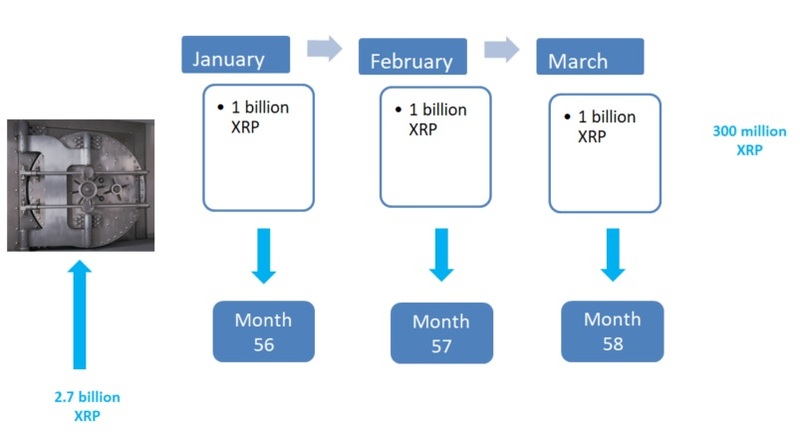 Note that many heads turned based off of Ripple's fourth quarter numbers from last year; and now it seems that they've done it again - capturing the value equivalent of two initial coin offerings all in one quarter. This provides Ripple with enough capital to pursue almost any strategy they prefer, include takeovers of other companies, outright purchases, or, as in the case of Omni and Blockchain Capital Parallel, investments in future 'viral' companies or apps. "...these deals mean more money for Ripple, which Ripple uses to hire employees, sign up partners, do regulatory outreach, and so on. To date, none of that money has been used to pay dividends to investors. 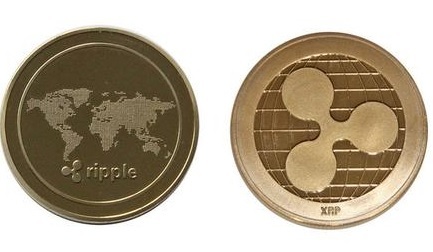 It has all been retained and/or used by Ripple. Ripple's long-term goal is to maximize the value it gets from its XRP." In prior quarters, the escrow revolving deposit was not up and running; i.e., the one billion XRP that is released to Ripple was not yet in place. However, the first quarter of 2018 represents the first time period where Ripple has had access to billions in escrow-released XRP to invest, champion XRP adoption, or otherwise build out Ripple's collection of bank-and-business partners. Now we have an opportunity at the end of the quarter to look back and determine the high-level results of the escrow release. My Take? I think that Ripple has done the exact right thing at the right time. They've been quite deliberate in their use of XRP, making investments and donations to charity, both of which should reap rewards for the company. Combine this with the fact that they've been faithful in their promise to place the lion's share of XRP back into escrow - all 2.7 billion of it. Even though traders regard this as "XRP off the market," I'd like to see the amount of XRP used for distribution increase as the months go by; my hope is that 2018's subsequent XRP Markets Reports contain higher levels of 'used' XRP. "XRP’s volume was also driven by the extension of more than $16 million in new XRP loans from XRP II, LLC to market makers." "Now, with the ability to secure cost-effective, capital-efficient XRP loans, market makers are less challenged to get involved in XRP markets." This is great news, as it's yet another option for configuration of XRP custody to support liquidity sourcing. My impression is that whatever regulatory questions that had been hampering progress in this area have now been either clarified or removed. "In Q2, Ripple will look to grow the number of xRapid pilots and work to move existing pilots into production." We knew that these high-profile members - Western Union, Cambridge Global Payments, MercuryFX, IDT and MoneyGram - were all laser focused on usage of XRP for Nostro account replacement. And now we're hearing that Q2 will be the quarter for these pilots to flip the switch on production usage. This could be big - very big. A pilot is done to prove out a solution and iron out the technical approach and integration. A production implementation takes this concept and transitions it to everyday use, with all organizations using it for high-frequency transactions. Because of this, we might see demand from utility as early as this quarter. In addition to its periodic review of impacts on XRP, the report also went into a comprehensive analysis of market forces and events in quarter one, breaking down the chaotic developments from early January to the end of the quarter. This included Miguel's perspective on regulation, which was generally positive. It was a good way to end a comprehensive and thorough XRP Markets Report, and this end-of-quarter positive outlook was certainly bolstered for many XRP fans by the recent price rally. Several newsworthy events happened in the past week, one of which received a lot more press than the others. Daniel Aranda, Ripple's European Managing Director, participated in a panel discussion which touched on the current state of banks' ability to handle technological change, the future impact of blockchain technology on banking, and real-life project and integration stories. "We collaborated with Ripple , we've been testing for two years.... it works, it's safe, it's fully compliant." It's real-world testimonials like Ana's that highlight how Ripple is solving problems with its solutions and delivering on its promises. On Friday, May 11th, Blockchain Week starts in New York City, and continues on until the next Thursday, May 17th. It's organized by the New York City Economic Development Corporation (NYC EDC), and serves to promote the city as a rising star for the blockchain industry. Ripple is hosting its own meetings, as well as sponsoring Consensus. 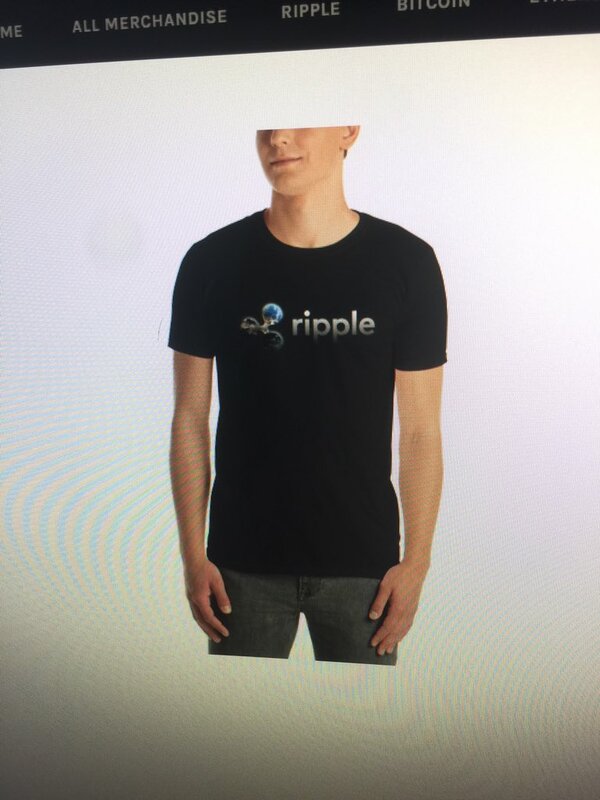 As part of the celebrations that week, Ripple also took the opportunity to plan an "XRP Community Night," setting aside ~twenty tickets for community members. 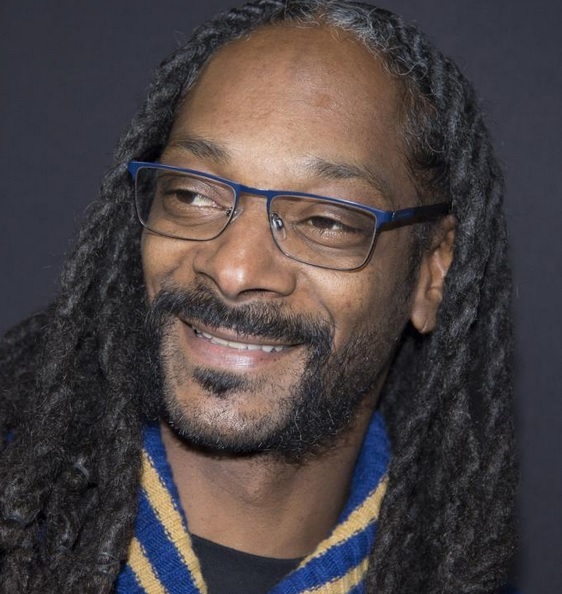 The tickets will, among other things, allow the bearer to attend a VIP gathering where none other than Snoop Dog will be providing the music. All community members have a chance at winning one of the ~twenty tickets, by participating in one of two contests. The first contest - Twitter Trivia - will result in most tickets being given away. The second contest - a meme contest - will result in two tickets being given to the winners. Ripple decided to host an AMA with Brad Garlinghouse and Cory Johnson Wednesday afternoon this week. The conversation started out surprisingly heady for two business executives, with a reference to Metcalf's law in the first three minutes. A little ways into the AMA, Brad took the opportunity to re-emphasize how important Ripple's central bank customers were, as influencers in the banking space. Cory Johnson: If you're sitting at Amazon, and you've got like 250..or 300 engineers, who are full-time writing APIs to deal with all of the payment problems, with all of the banks they've got all over the world, maybe this can reduce that cost for them and give them one single interface. Brad Garlinghouse: That is absolutely the vision. And to the extent that companies can write to one API that allows a payment interface to many, many currencies around the world, and many payment networks. And we talk about an oil company that has truck drivers in Nigeria that ... they don't have a bank account; they want to be paid out of M-Pesa. Cory Johnson: We're doing some things as a company to try and help accelerate that liquidity in the markets... I suppose we want to improve every market, but certainly markets where we're doing business. Brad Garlinghouse: Sure: We do (have) a number of incentives that we've been proactive in advertising. We announced a program in Q4 called the RippleNet Accelerator Program; and this is where, frankly, we're using dollars as well as XRP to incentivize the adoption of our technologies. With the latest rally, the level of trading underlying XRP rose to very healthy levels, with volume measured in the billions once again. While volume is merely a measurement of buying and selling both, generally a higher volume is accompanied by higher price levels. Adding to these increased volume levels is news of a new exchange along the same lines of Abra or RobinHood; an application with a crypto exchange. Mobile applications are the wave of the future, and I've discussed in prior blogs how a growing proportion of crypto market liquidity is likely going to be sourced from individual crypto traders using their mobile phone applications rather than online websites. Revolut is positioning itself to capitalize on this surging market. 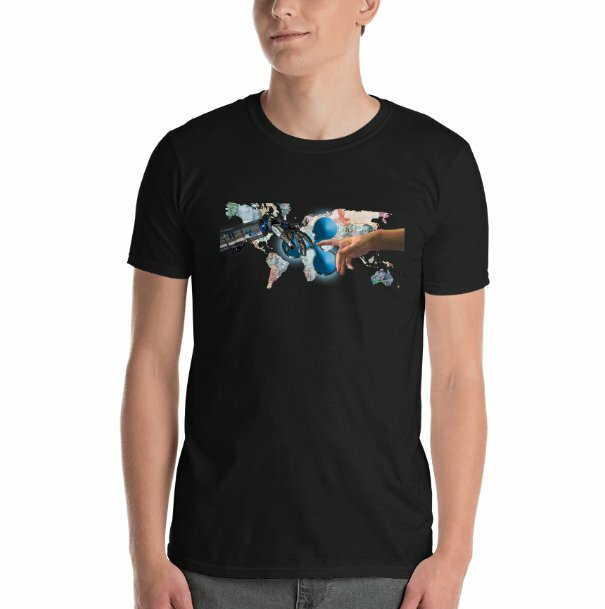 You may know him as "teenage Investor" prior to his re-branding recently; Alex Cobb is bringing his crypto enterprises to the next level with the opening of a new crypto swag store online. 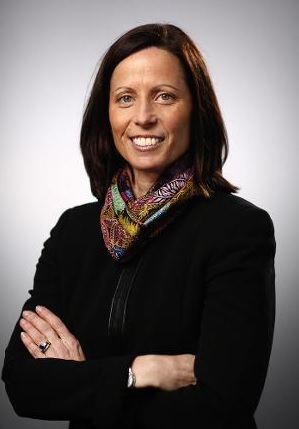 ...and hope to use the merchandise to spread awareness of Cryptocurrency and it's revolutionary form of payment and settlement communications"
Chris Larsen has indicated that financial inclusion is one aspect of globalization that has been missing up to this point, due to the friction of individuals' ability to move money cheaply and easily across borders. The science of economics has proven time and again what happens to an economic model when a business function becomes near-instant and the cost is reduced to near-zero. Whether you call it Jevon's paradox, or the shipping container paradigm, the result is the same: A supercharged global economy. While we may be viewing Ripple and XRP through the lens of cryptocurrency investing, be aware that other global stakeholders are also taking a hard look at the technology, but from an entirely different perspective. When it comes to reducing costs of cross-border value transfer, entire nations' economies can profoundly benefit; ILP standardizes payment communication, and XRP can help eliminate much of the processing costs for banks and remittance companies. Perhaps ten years from now economists will be calling this the "Ripple Effect."